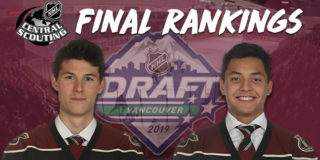 Rookie forward Cameron Butler had his first multi-point night, but it wasn’t enough to lift the Petes past the Generals as they fell 6-3 to their East Division rivals in Oshawa on Wednesday night. The Generals got to work early, jumping out to a 2-0 lead just 7:23 into the match. The first started with a stretch pass down the middle of the ice from Swiss import Nando Eggenberger to Allan McShane who skated into Peterborough territory with eventual goal scorer Tyler Tullio. The play was reviewed for a potential offside play, but the goal stood. Seventeen seconds later, Serron Noel broke into Oshawa’s offensive zone on a two-on-two rush with Mitchell Brewer, putting the puck past Hunter Jones. 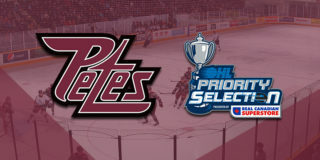 The home team’s two-goal lead was short lived as rookie Cameron Butler got the Petes on the board under a minute later. Butler’s 13th goal of the season was assisted by Michael Little. Eager to restore a more comfortable lead, Eggenberger wrapped around the Petes’ net and banked the puck off of John Parker-Jones’ skate, making the score 3-1 for Oshawa at 13:00. Peterborough held a strong advantage in the face off circle, but trailed significantly on the shot clock after 20 minutes of play. 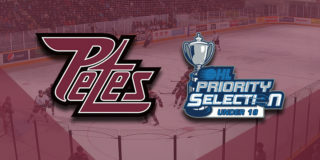 The Petes were treated to an early power play in the middle frame, and although they couldn’t convert on the chance, their next goal came shortly after. Overager Austin Osmanski worked the puck out of a corner battle to Butler. After an initial shot on Kyle Keyser, Ryan Merkley jumped on a juicy rebound in the slot to put away his 11th of the season. Merkley proceeded to draw a penalty as the Petes would close out the stanza having had a few quality chances on the man advantage, but to no avail. A much better period by the Petes had them draw nearer on the shot and score clocks through 40 minutes of rivalry hockey. The maroon and white started off the third by successfully killing off a minor infraction, and stormed back to tie the game mid-way through the period. By way of a fantastic individual effort, 2019 NHL Draft prospect Nick Robertson picked up the puck at Peterborough’s blue line and burst into Oshawa’s end to bring the score to 3-3. 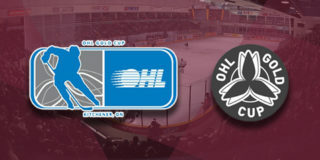 That would be the Petes’ last tally of the evening, though, as Oshawa responded with a power play goal by McShane and empty netters by Brett Neumann and Anthony Salinitri to solidify a 6-3 victory. Final shots were 39-22 in favour of the Generals. Eggenberger, Brewer, and Butler were named the game’s first, second, and third stars, respectively. 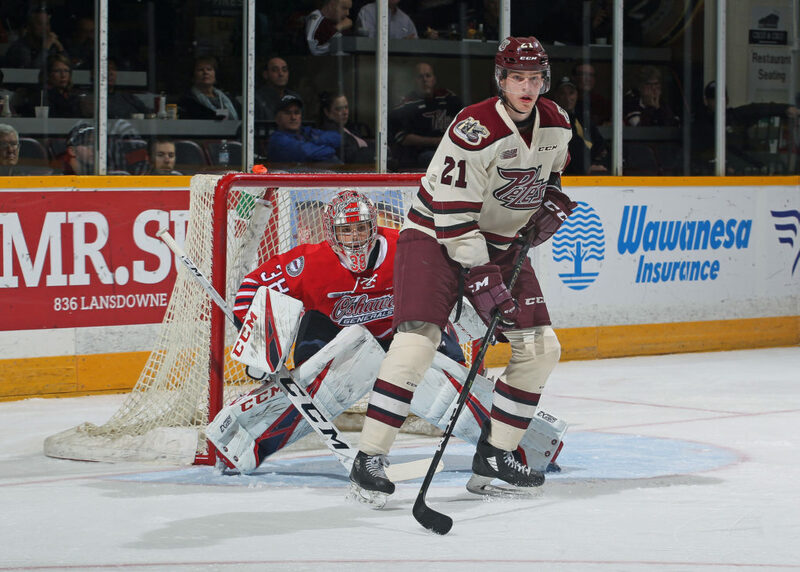 The Petes continue their week on Valentine’s Day when they host the Barrie Colts on Thursday, February 14 at 7:05pm. Tickets are available through the Baker Tilly Box Office in person, over the phone at (705) 743-3561, and online.